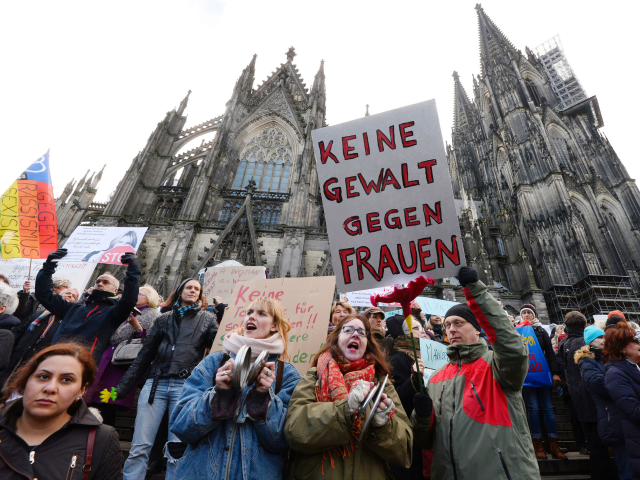 After an influx of more than a million Muslim migrants last year to Germany and the subsequent crime waves that have left women feeling uneasy about walking alone after dark, Germans’ tolerance for Islam is wearing thin. A University of Leipzig study has shown Germans are increasingly rejecting Islam. Half of respondents said the huge influx of Muslims to Germany has left them feeling like strangers in their own country. Two years ago such sentiments were felt by 43 per cent, and in 2009 less than 1 in 3 agreed. In January, Angela Merkel declared that “Islam belongs to Germany” but increasing numbers of German people disagree. Only 13 per cent agreed with this statement while the vast majority opposed it. More than 40 per cent felt Muslims should be prohibited from migrating to Germany. Eighty per cent of those responding believed the state should be less generous when assessing asylum applications, compared with only 20 per cent who believed this in 2009. Nearly 60 per cent of Germans now believe that most asylum seekers are not really being persecuted in their home countries. Currently, the German government is embroiled in a row over deporting Moroccan, Tunisian and Algerian migrants. The federal government is attempting to pass a bill labelling the three countries as safe, but the Greens plan to block it. The Greens oppose the notion of the Maghreb countries being safe on the basis that their policies towards LGBT people and women are not as progressive as Germany’s. More than a third of North African migrants to Germany are criminal. The mainstream media reports the study’s findings as a “worrying” rise in Islamophobia, demanding that native Germans change their behaviour – without examining Germans’ reasons for their fear, instead painting it as “hate”. Conversely, it is never suggested that if migrants changed their behaviour they might be more warmly received. Turks are Germany’s largest minority group by far, the majority of whom are conservative Muslims. Three million Turks live in Germany, 2.5 million of whom have German citizenship and experts say they “feel very Turkish” and believe Turkey is culturally superior to Germany. The Washington think tank, Family Security Matters, reports that only around 20 per cent of Turks living in Germany have a regular job and the rest live off welfare. Hartmut, a social scientist at a German university (who wishes not to be identified for fear of reprisals from Turks), says that Turks in Germany have no desire to integrate. A Kurdish journalist living in Germany adds that this is likely due to them having Ottoman aspirations: “The Turkish establishment believes that the Turks in Germany constitute a valuable spearhead for the resurrection of the Ottoman Empire. “What could not be accomplished by force in the 15th century might, many Turks believe, become a reality in the 21st century in Germany, the heart of Europe.